Ideally, you will choose a name that is able to serve your business for many years. However, some lawn care entrepreneurs find that for various reasons a name change becomes necessary. Businesses in many industries have successfully carried out name changes that have improved their market position and brand value. Kentucky Fried Chicken became KFC, Datsun became Nissan and Panasonic used to be known as Matsushita Electric Corporation. And these are just a few examples. In the following article I'll go over some of the reasons why a change of name may become unavoidable. I also look at the negative effects of a lawn service name change and how they can be mitigated. There are many reasons why a name change may become necessary for a lawn care service. Sometimes the business owner is to blame as he or she chose a poor name right from the outset. Other times a change is necessary due to factors beyond the control of the business owner. The main reason why a change may be required is loss of relevance. Due to changes in the way that a business operates or changes in the market the name may reach a point where it is no longer be suitable. Some lawn care business owners find that a name change is a great way to drop a bad reputation and start afresh. Another common reason for change is a lack of originality which can lead to legal action. There is one interesting example here on Lawnsite.com of a lawn care business owner changing his name. He started out with 'Quality Lawn Care' and now wants to change it due to the fact that so many other local operators have used the word 'Quality' in their names. It has caused confusion in the market and he doesn't want to bother with legal action. When weighing up whether or not to make a change you should first assess the value of what is being lost. 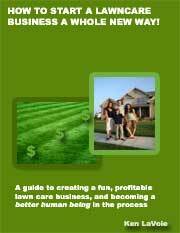 If your lawn service has been in business for only a short time then you will not have to worry about the reputation that has been built up in the name. However, if you have been in business for many years then your business name will make up a large part of your brand value. In such a case it would be a shame to lose a name that has become well known in the market. While you can redirect customers to the new name it is impossible to transfer 100% of a names value. Aside from the overall impact on your brand there are other negatives that you will be facing if you decide to change the name of your lawn care business. You may risk isolating or confusing some of your existing customers. You will also have to face the considerable expense of re-branding all of your stationery, signage and other marketing materials. Lastly, you will have to pay the fees that are associated with making the change official. The best way to make sure that you don't have to lose the value that you have built up in a name over time is to choose a great name right from the start. Make sure that your name is flexible and will allow your business to grow in any possible direction going forward. Check that it is unique and relevant for any kind of service that you may decide to offer in the future. 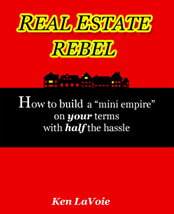 Make sure that you understand your market and start off with a name that has customer appeal. Lastly, you should focus on delivering first class service to your customers so that your name becomes an asset instead of a liability. It is possible to reduce the effects of a name change if you are careful and go about the process in the right way. One great idea is to keep the new name as similar as possible to the old one. You may only have to change one word while retaining other important words. Make sure that you inform all of the parties that you have business dealings with, especially your existing customers. Communicate clearly with them via writing or email as well as in person or via the phone. Tell them about why you are changing the name and what the new one will be. Make the change into a positive thing by launching the new name in conjunction with a special offer. Thank your customers for their understanding and apologize for any inconvenience that you may have caused them. Think carefully about what you will do with your old name. If you change your website it is easy enough to redirect your old website to your new site. You may want to hang on to your legal right to the old name for a while if you want to prevent others from using it. Having to change your business name at a later date is an expensive move that you should try to avoid at all costs. Not only would you be facing the costs associated with redesigning and reprinting all of your branded materials but you would also be doing damage to your brand. You would risk losing some of the brand value that you had built up over time and some of your customers could become confused or suspicious. 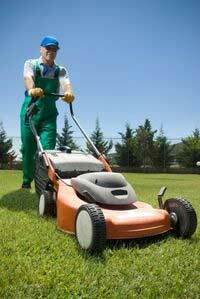 Make sure that you come up with a suitable and effective name for your lawn care service right from the start. Avoid the headaches that a name change can bring you.